Do you really know how to eat healthy? Perhaps we should start with keeping a diary. Oftentimes, we don't realize what we are putting into our body. Take action and do it for a few days or even a week. You may think you are making good choices throughout the day, but once you begin writing it down most of us will realize we are not making good choices after all. Begin today! Write down everything that has passed through your lips in the last 24 hours. iceberg lettuce (96%), watermelon (92%), broccoli, carrots, beets (91%), oranges (88%), apples (85%) just to name a few. 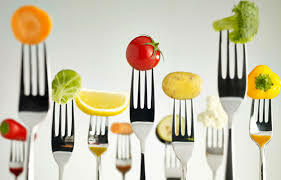 Live Food is whole, sun ripe, raw, organic foods that are the key to great health and vitality. They are the givers of life energy and the healers of disease. Diets based on Live Food is proving to be the healthiest, most common sense diet on the planet. Why? Because when we eat our foods in their natural state, we receive maximum nutrition. The concept of live food is easy - raw, uncooked fruits and vegetables, and sprouted grains, nuts and seeds. It is a whole new way of looking at food. The benefits of live food are many. Uncooked foods have all the vitamins, minerals, enzymes and phyto-nutrients that cooking destroys or alters.